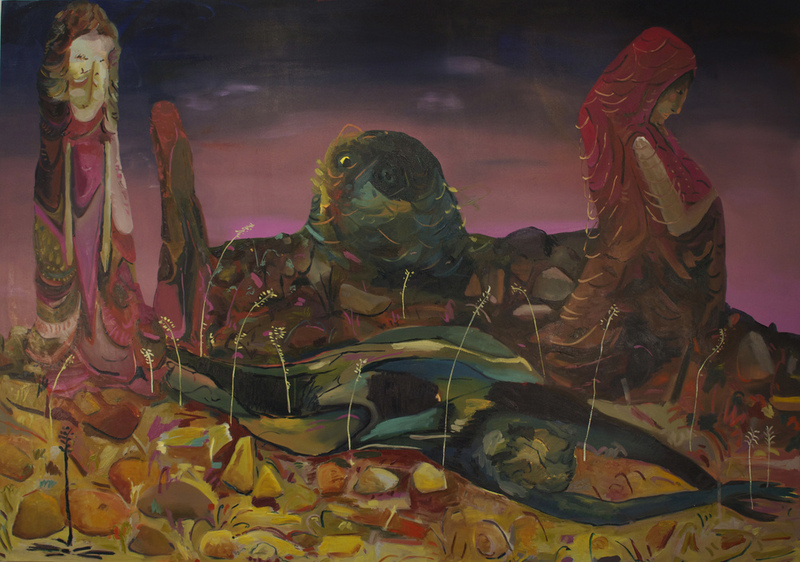 Wheeler Geological Area(Public Art Commission), oil on canvas, 60x190 inches. Proposed Monument in Mojave Desert, oil on canvas, 120x84 inches. 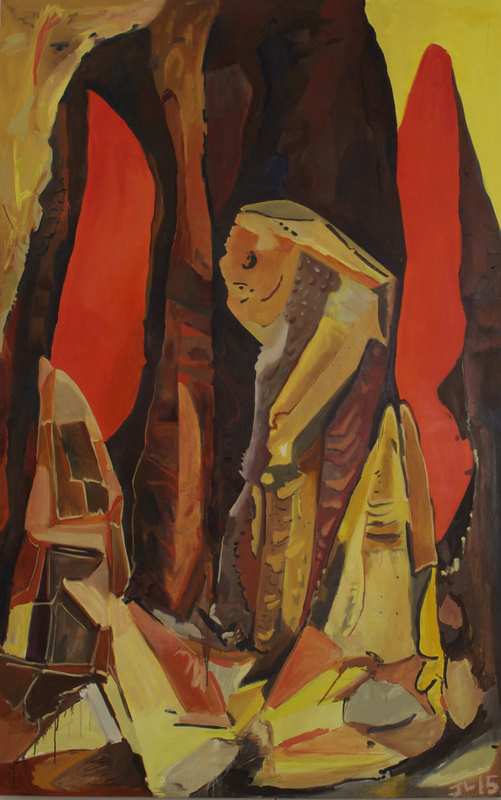 Three Totems, oil on canvas, 84x120 inches. Jumbo Rocks(Red), oil on canvas, 60x95 inches. Key's View, oil on canvas, 60x95 inches. Jumbo Rocks(Blue), oil on canvas, 60x95 inches. Palm Fronds, oil on canvas, 120x95. Carlsbad Caverns, oil on canvas, 60x95 inches. Foothill Drive, oil on canvas, 96x72. Giant Rock, oil on canvas, 120x84 inches. Dead Palm, oil on canvas, 60x190 inches.